Apart from his many accomplishments in North Carolina, George Watts Hill played a key role in the secret war against Hitler. Image courtesy of the North Carolina Collection, University of North Carolina at Chapel Hill Libraries. Watts Hill was instrumental in the removal of the North Carolina Speaker Ban Law. Pictured is a copy of the bill. 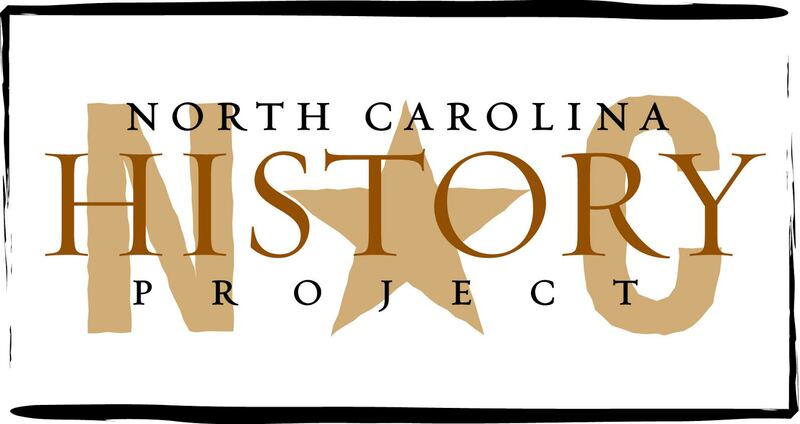 Image courtesy of the North Carolina Office of Archives and History, Raleigh, NC. Scion of a distinguished North Carolina family (“Durham’s first family”) known for its civic entrepreneurship and generosity to the state, the city of Durham, and the University of North Carolina, George Watts Hill–businessman, banker, lawyer, hospital director, staunch Presbyterian, and “guiding force in the development of the Research Triangle Park”–played a key role in the secret war against Hitler. Born in New York on October 27, 1901, Watts Hill was later educated at Durham High School, Hotchkiss, the University of North Carolina, and UNC Law School. After graduating from law school and passing the bar exam in 1924, he married Ann Austin McCulloch, a woman of modest means whose mother’s ancestors included Charles Carroll, a signer of the Declaration of Independence. While eschewing the practice of law, Hill honored his father’s wishes and devoted his attention to family business interests, especially Watts Hospital in Durham. Democratic member of the Virginia House of Delegates, field secretary of the Foreign Policy Association, organization director for the Council on Foreign Relations, and founding member of the Century Group (later known as the Fight For Freedom Committee), Francis Pickens Miller, another staunch Presbyterian Southerner, unquestionably influenced Watts Hill’s interest in national and international issues. Miller probably first met Hill through a mutual association with UNC president, Frank Porter Graham. In January 1939, Miller invited Hill to a conference in Atlanta of the Southern Policy Committee (SPC), because he believed Hill’s corporate background might enhance the credibility of the organization’s largely non-business membership. The January committee produced a plan to improve the South’s economic, social, educational, public health, labor, and suffrage conditions. At the end of the meeting, Miller persuaded Hill to organize a SPC group in North Carolina. Alarmed by Hitler’s conquest of Europe and Britain’s retreat at Dunkirk, Hill supported Francis Miller’s and New York businessman Whitney Shephardson’s draft of "A Summons To Speak Out." The “Summons” called for an end to U. S. neutrality, American assistance to the Allies with all "disposable air, naval, military and material resources," and an American declaration of war against Nazi Germany (considered to be the only legal avenue to aid Britain, the last line of defense). Watts Hill offered Miller further assistance and suggested that Congress be urged to support the "Summons." Hill was one of only two North Carolinians mentioned in The New York Times and the New York Herald-Tribune as advocating war against Hitler. Miller considered the well-traveled Hill an ideal compatriot in mobilizing American public opinion against continued neutrality in the face of Nazi aggression. Not surprisingly, at Miller’s request, Hill recruited Tar Heels to sign the "Summons," and in doing so, he reiterated the Allies’ need for U. S. war material, not American troops. But he also stressed that conscription was necessary for America to be war-ready. The South’s traditional internationalism notwithstanding, not one North Carolina congressman supported a war declaration against Germany. While few Tar Heels embraced Senator Robert Reynolds’ extreme isolationism, most wanted their country to stay out of war. Hill declined an offer to lead the North Carolina chapter of the less militant and more popular Committee to Defend America by Aiding the Allies (CDAAA), which supported aid just short-of-war. Instead, he became a founding member of the Century (Miller) Group out of which came the Fight for Freedom Committee (FFC), the most militant interventionist organization and the future leaders of the Office of Strategic Services (OSS), America’s premier intelligence agency during the Second World War. Despite its small numbers, the Century Group contributed greatly in gaining public support for Franklin Roosevelt’s “Destroyer Deal,” an executive agreement providing a beleauguered Britain with 100 mothballed destroyers. After serving as chairman of the Navy Relief Society’s campaign in North Carolina and later as the Navy’s procurement officer handling commission applications from fellow North Carolinians, Hill entered the Office of the Coordinator of Information (COI) in March 1942. The COI’s London-based and Secret Intelligence (SI) British section chief, Francis Pickens Miller, arranged an interview so that Hill could join the Office of Strategic Services (OSS), which replaced COI on June 13, 1942. After inteviewing with COI chief, Col. William J. Donovan, Hill accepted an executive officer appointment in SA/B (Special Activities/Bruce) division and quickly set out to instill order in the young agency and secure much-needed office equipment, furniture, and new employees. On the eve of Operation Torch, the Allied invasion of North Africa, Hill supplied Donovan with vital information concerning transportation. Impressed with the Tar Heel’s efficient and effective administration, SI chief David Bruce sent Hill to London in July 1942 on a “scouting trip” in preparation for the opening of the OSS’s London office. “The Tar Heel in Cloak” examined the logistics of the new office, finalized arrangements for communications between Washington and London, and toured two training facilities. In his report to Bruce, he recommended simplifying the flow of information between London and Washington and the collection of refugees’ passports, I.D.s, and even clothing, for OSS agents sent to Nazi-occupied Europe. An OSS “closet” full of clothing was established a few months later near the Key Bridge facing Washington, D. C.
In February, 1943, Hill was finally commissioned a major in the U. S. Army and was given responsibility for all the transportation, material, and equipment needs of the Special Operations (SO). Cognizant of the OSS’ dependence on other military services for transporting agents and supplies, Hill found the first planes for the agency’s miniscule “air force.” He allowed the OSS to use several family properties for training purposes, even the use of explosive devices. In late 1943, Hill was named head of the Division of Special Services; in this capacity, he supervised the disbursement of material and arranged the logistics for gathering intelligence for SI and the sabotage/underground training SO wings of the OSS. Determined to fulfill his family duties in North Carolina, Hill rejected offers to work abroad for the OSS, yet continued managing much of the American war effort until the end. In late 1943, he was placed in charge of the collection, distribution, and reproduction of refugee clothing, documents, and personal belongings for overseas agents. On the eve of the D-Day invasion, the special materials czar’s “closet" was full, and Hill returned to London to run the camouflage unit, which produced forged passports and documents, foreign clothing, German uniforms, personal paraphernalia, and lethal devices. In October 1944, Hill flew to France and Belgium to facilitate the distribution of disguises and devices and meet with intelligence officers, OSS agents, and members of the Dutch underground. Before returning to London via Paris, he was slightly wounded during a reconnaissance flight. With Germany’s surrender on May 7, 1945, OSS operations in Europe came to an end. (General Douglas MacArthur’s ban on OSS operations in the Pacific effectively retired the agency, which President Harry Truman disbanded in September 1945.) Hill returned to civilian status shortly after VE-day. The Second World War was more than just a seminal moment in Watts Hill’s long life. He wrote Francis Miller: “I had both a lot of fun, received invaluable experience, made a few close friends, [and] learned much about human nature.” While the Italian and French governments awarded him the Cross of War Merit and the Legion of Merit, respectively, the documents supporting David Bruce’s recommendation for promotion to lieutenant colonel were lost. Revealingly, Hill rejected the Finnish government’s decoration because of its alliance with Hitler after the 1941 Winter War with Russia (which had invaded democratic Finland in 1939). Before returning home, Hill joined fellow OSS officer Earl Brennan for an excursion to Italy. While Hill considered serving in the U. S. Department of State, he wrote Miller: “I have had all I want of Washington, government, hot air and armchair strategists, and will be glad to return to a position where I may be of some value to the community.” After three and a half years in the OSS, Hill returned to Durham and succeeded his father (John Sprunt Hill) as head of the family’s businesses. In 1946, Hill declined appeals from Francis and Helen Miller to resurrect the National Policy Committee and focused instead on North Carolina issues, especially health care reform. Hill was also instrumental in the desegregation of his hometown, the education of children with learning disabilities, and the removal of the Speaker Ban Law, which before being declared unconstitutional by a federal court, jeopardized the accreditation of his beloved University of North Carolina. According to UNC President William C. Friday, Watts Hill “was the one member of the board that stood with me all the way through the Speaker Ban thing.” Determined to see Watts Hill’s name on a university building before his retirement, Friday persuaded his friend to help fund what is still named The George Watts Hill Alumni Center–a fitting tribute to a great friend of the University, North Carolina, the United States, and the free world. The center was completed a few weeks after Hill died on January 20, 1993. Mark Lincoln Chadwin, The Warhawks: American Interventionists Before Pearl Harbor (New York, 1970); Howard E. Covington, Jr., Favored by Fortune: George W. Watts & The Hills of Durham (Chapel Hill, 2004); Clayton D. Laurie, The Propaganda Warriors (Lawrence, KS, 1996); Francis Pickens Miller, Man From the Valley: Memoirs of a 20th-Century Virginian (Chapel Hill, 1971); Patrick K. O’Donnell, Operatives, Spies, and Saboteurs: The Unknown Story of the Men and Women of World War II’s OSS (New York, 2004); Rorin M. Platt, Virginia in Foreign Affairs, 1933-1941 (Lanham, MD, 1991); Fight for Freedom Committee Papers, Princeton University Library, Princeton, New Jersey; Francis Pickens Miller Papers, George C. Marshall Research Library, Lexington, Virginia; Francis Pickens Miller Papers, University of Virginia Library, Charlottesville, Virginia.